We arrived for the Sunday matinee at the Ellie Caulkins Opera House with time to see throngs of little girls all dressed-up in their red velvet dresses and other holiday costumes. They were excited to see their dream come true. The same dream that the Clara character in the ballet has when she falls asleep with her toy Nutcracker Soldier. This is a dream of sugerplum fairies, dancers from all parts of the world, battles between toy soldiers and giant mice, and a romance between her and a life-size Nutcracker Soldier. 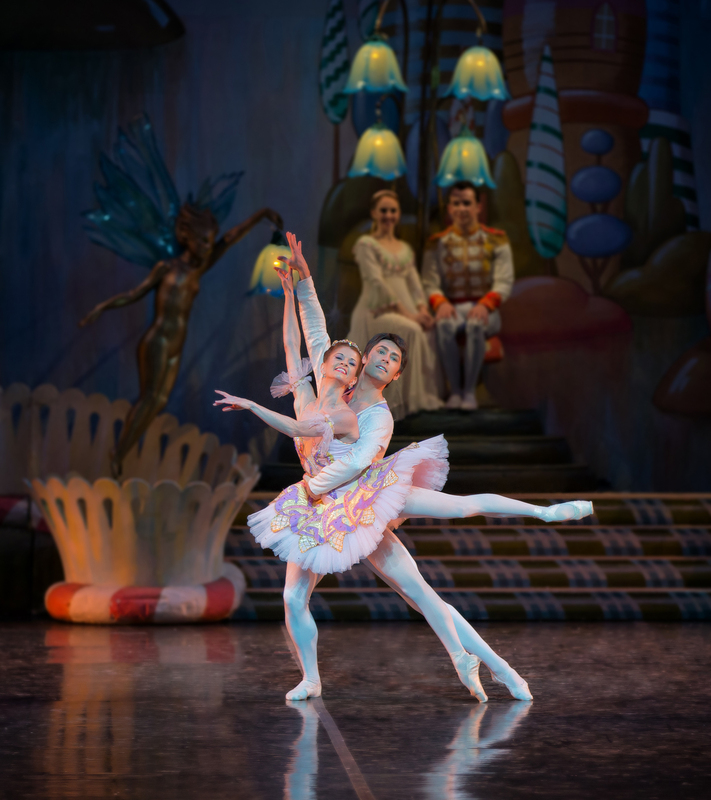 The wonderous sets and costumes of the Colorado Ballet’s The Nutcracker, invite the audience to relax and get carried away with Tchaikovsky’s enchanting score. The choreography and implementation is precise and I was never left wondering what is the significance of what I was seeing. This is no small feat because we are watching a story and one doesn’t want to get confused. Hearing the young kids in the audience react indicated to me that they “got it” too. Spending an afternoon immersed in this holiday season’s most famous score is a tradition for plenty of families. I am now officially a new convert to that tradition. 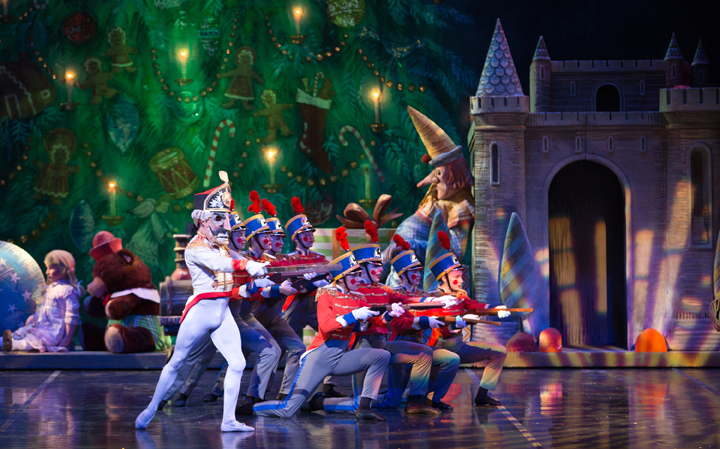 I am already looking forward to next year’s The Nutcracker by the Colorado Ballet. Tickets are still on sale. Performances run through December 28th. Click here to order your tickets today: http://tickets.coloradoballet.org/single/psDetail.aspx?psn=865.